An Uber ride through the Galleria area ended strangely, with the driver hauled off in handcuffs. HOUSTON (KTRK) -- Imagine grabbing an Uber ride only to have it cut short after cops handcuff your driver and haul him to jail. The situation happened to two Houston passengers early Sunday morning. They recorded the scene on cell phone video. The passenger who spoke to Eyewitness News did not want to be identified. He told us the driver ran a red light at San Felipe and the West Loop. Houston police officers pulled over the black Toyota Camry. "That's when we waited for a second. The cops came and got the guy's driver's license," said the Uber customer. "A few minutes later, they told him to step out of the vehicle. When they did that, that's when the video started." 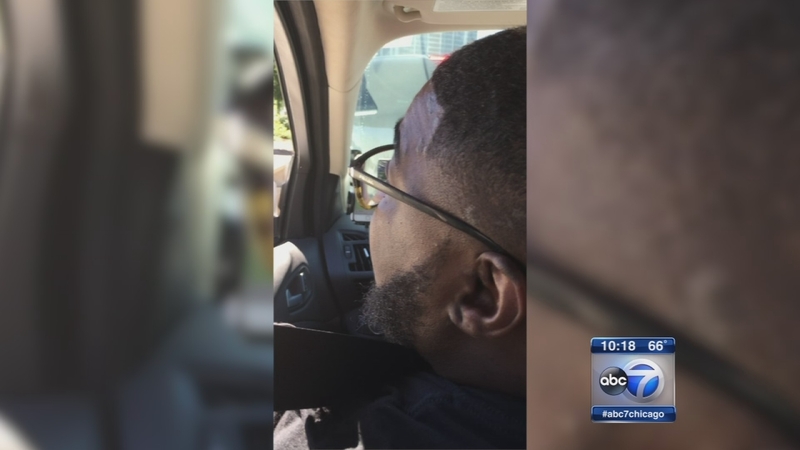 A dispute was caught on video between an Uber driver and a passenger. The female passenger also claims she was attacked by the male driver, who has been removed from the Uber platform. HPD told ABC13 that 46-year old Victor Ikonne was the Uber driver behind the wheel. They said he was wanted on a warrant out of Fort Bend County. Court records show he had a warrant issued for misdemeanor theft. The incident dated back to April, but the charge wasn't filed until late October. Houston city officials said Ikonne passed a background check and was issued a TNC (Transportation Network Company) license in May. Uber refunded the customer's ride. Houston police officers drove him and another passenger home. "Well, Uber kind of just saw it as another incident," said the customer. "They tossed a $20 credit at it and called it a day, but I don't think Uber took it as seriously as they should have." When reached by phone, Victor Ikonne referred us to his lawyer. Attorney Kenneth Nnaka said he would not comment on a pending case.